Validatable Medical Vacuum Chamber Heat Sealers with control of temperature, pressure, and heat cycle dwell time, and vacuum levels and other sealing parameters necessary for sealing medical and pharmaceutical, can also be used in R and D facilities. 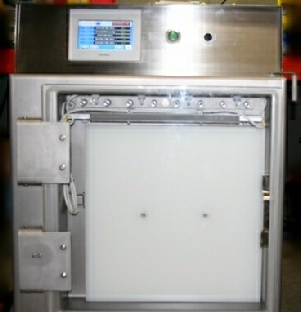 Can be provided with either impulse or constant heat – heat sealing bars. Validation ports can be added for calibration of equipment. Chamber Vacuum heat sealers are capable of removing a higher percentage of oxygen from a bag than other vacuum sealers, as low as 0.02%, making this type of vacuum sealer ideal for extremely oxygen-sensitive products. Also can be used for those products, such as pharmaceutical powders, liquids, fragile medical products like glass slides, where a snorkel nozzle is impracticable. Please contact so we can discuss your application and recommend the most appropriate vacuum chamber heat sealer for your application. 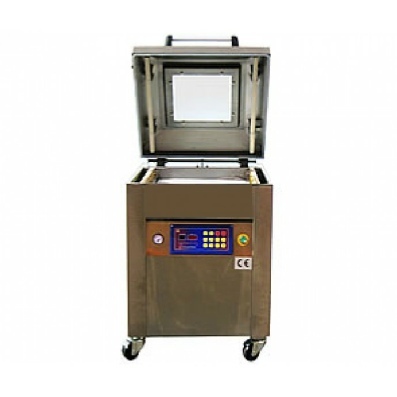 Validatable Medical Vertical Vacuum Chamber Heat Sealers with control of temperature, pressure, and heat cycle dwell time, and vacuum levels oriented in vertical orientation. Bags are sealed in a vertical orientation in the chamber to reduce product spilling out of the bag.